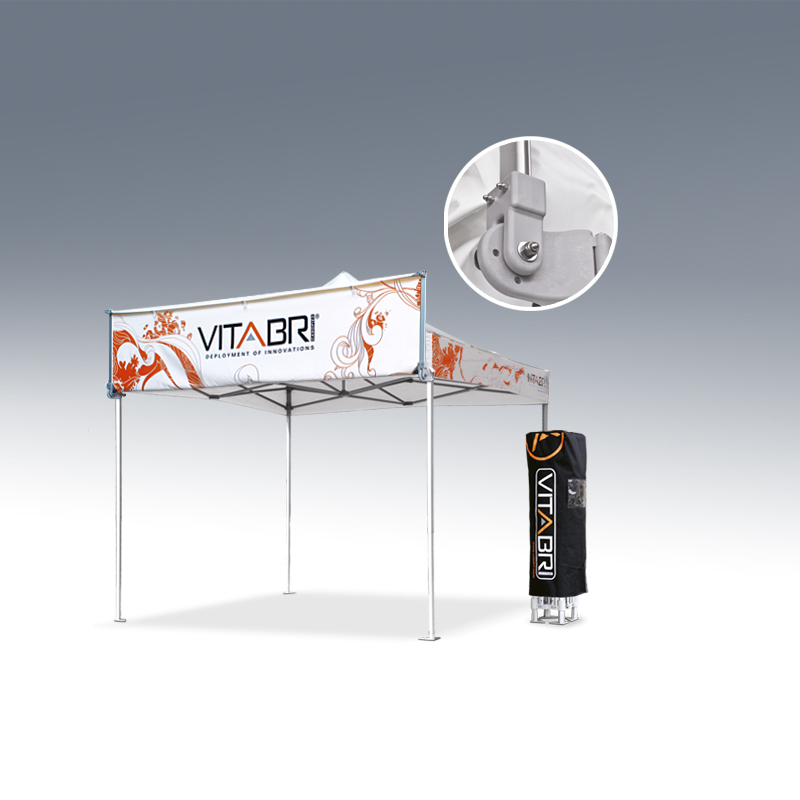 The V3 pop up gazebo reflects our know how and experience. The V3 Pro tent allows you to combine intensive and regular use with strong visual impact thanks to various fabrics and colours. Many possibilities in terms of fabrics, colours, covering and printing techniques allows the V3 Pro tent to be fully customised. It will be THE essential equipment and tool for your job. This version of V3 is made to be stronger and live longer. It is placed under the stall valence thanks to specific collars. You can choose which position you would like to adapt. 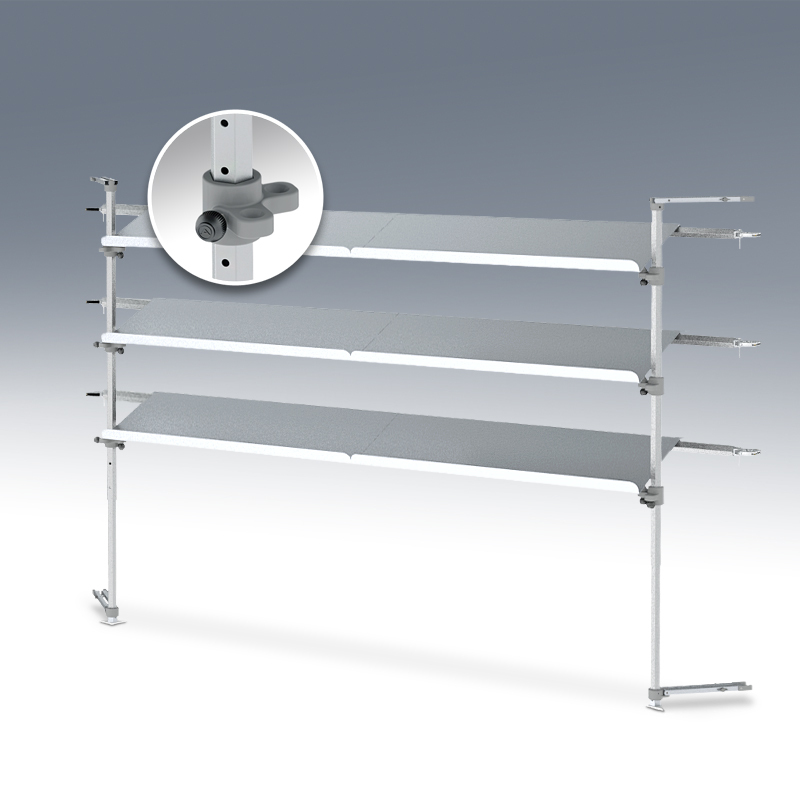 The NomadShop inclined shelf kit has 2 chandelles and 3 shelves. They can be adjusted up to 12 positions thanks to indexers. The ‘Z’ form of plates allows them to be inclined. Plate width : 300 mm. Plate thickness : 2 mm. Plate colour : light grey. 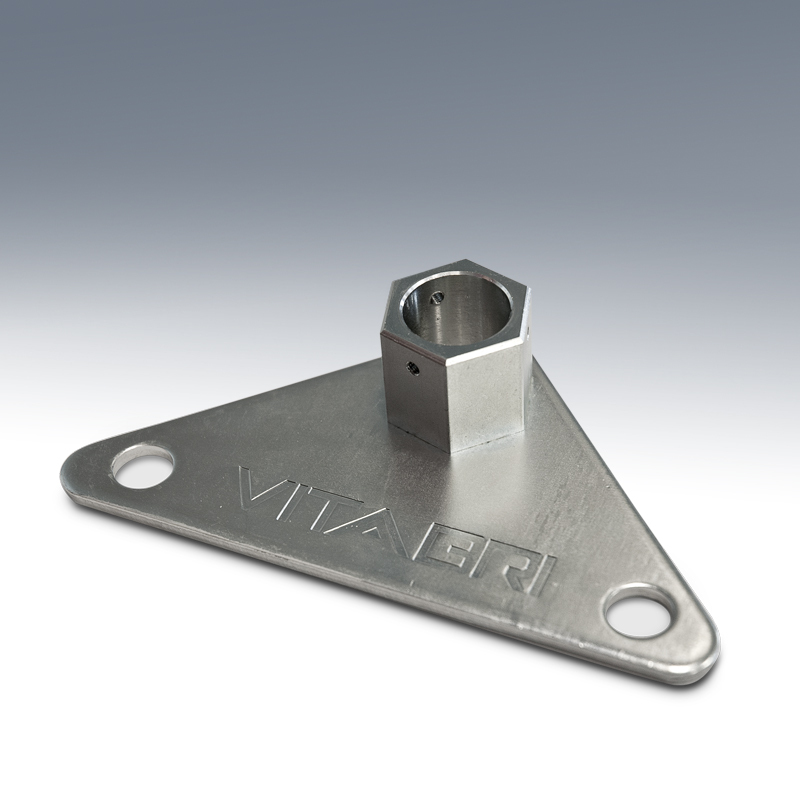 Plate material : anodised aluminium. The NomadShop shelf kit has 2 chandelles and 3 shelves. They can be adjusted up to 12 positions thanks to indexers. Plate witdh : 300 mm. The NomadShop bar has 2 chandelles and 2 plates. They can be adjusted thanks to indexers. 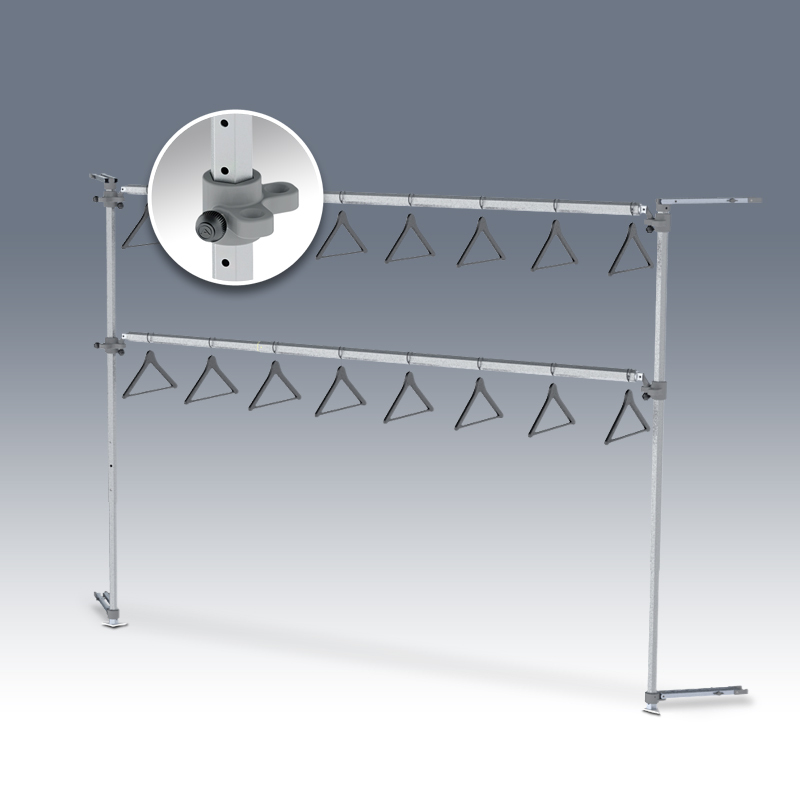 The NomadShop hanging rail set has 2 chandelles and 2 bars to carry hangers. They can be adjusted up to 12 positions thanks to indexers. You can fit the US skirt to the upper part of the leg. At the lower position it becomes the threshold bar to secure the tent in case of high winds and ensure a perfect placement of the US skirt. 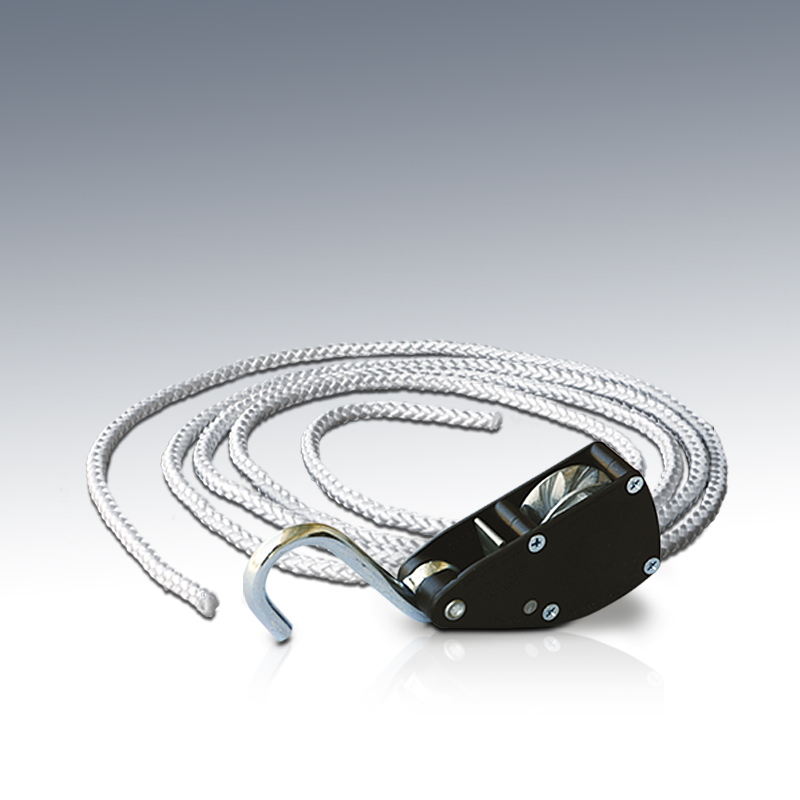 This is a top quality security system which will secure your tent to the ground thanks to an anchoring floor system. This solution is very practical and aesthetic. It allows to assemble 2 stalls together. 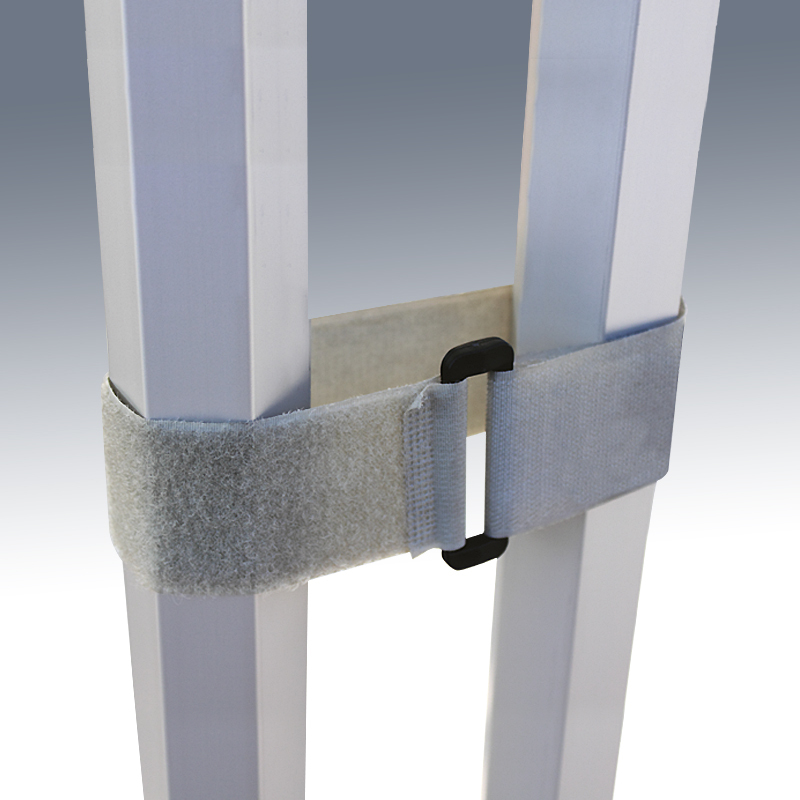 Easy to fix on the whole foot, any V3 option can be used with this collar. 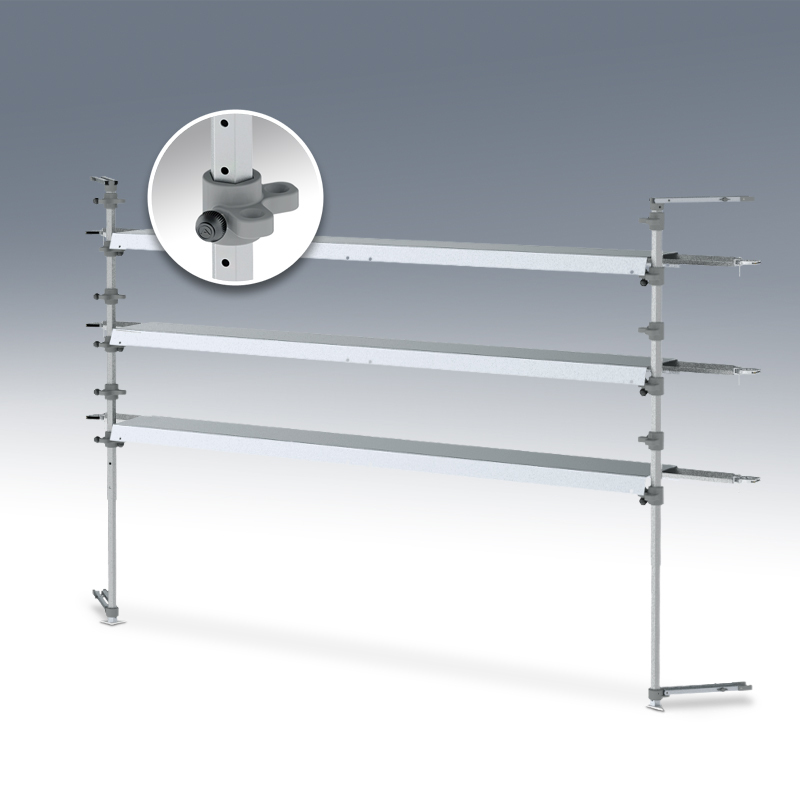 Allows the customer to hang product to the cross bars. 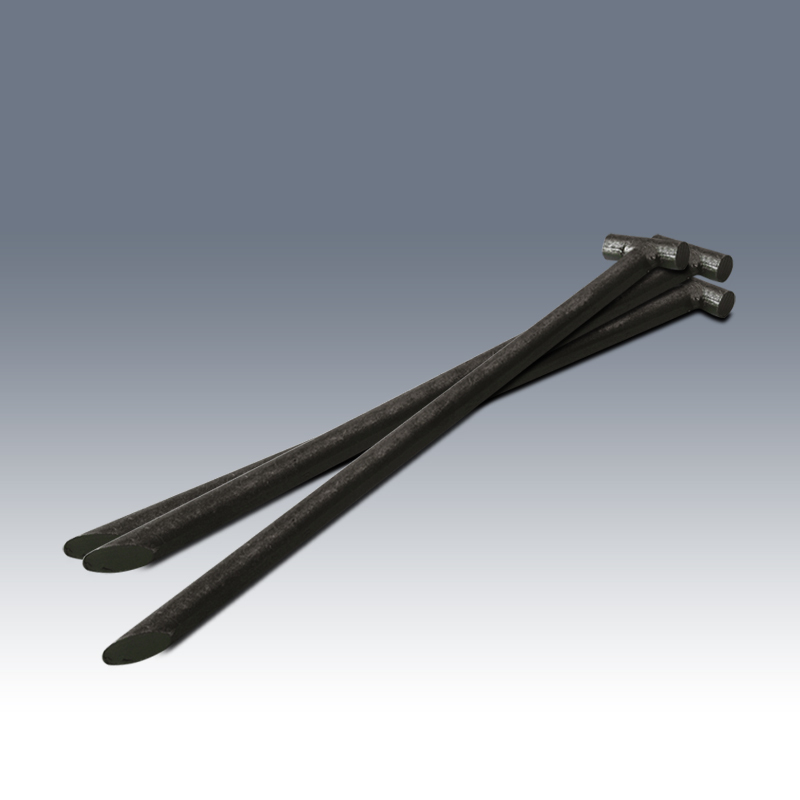 Thanks to the extra weights in cast iron and their unique design, you will secure your tent to the ground and from the elements. Dimensions : Ø11 x 400 mm. Dimensions : Ø16 x 400 mm. 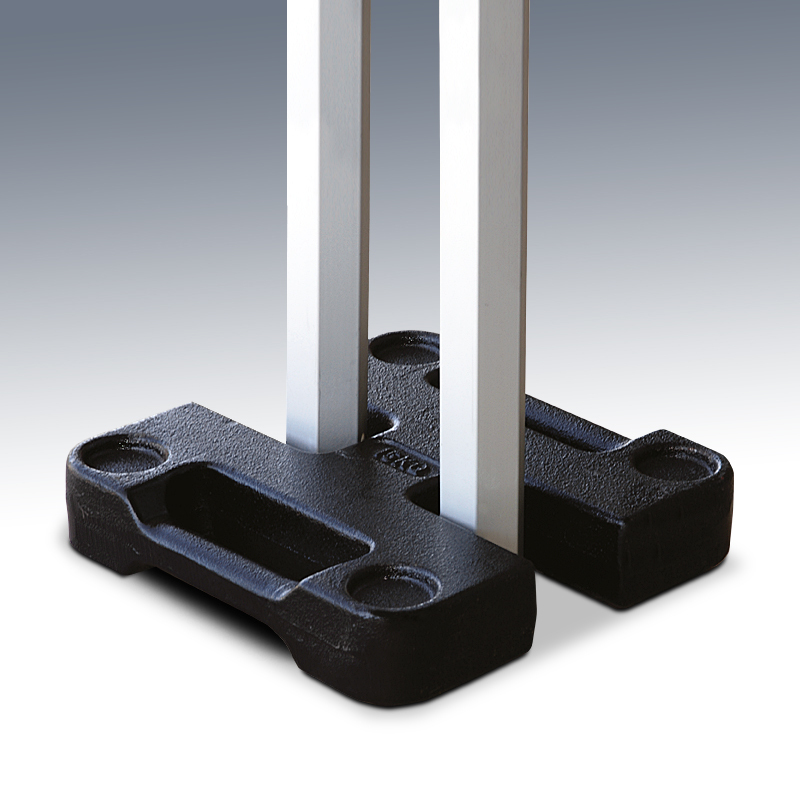 They are more resistant than standard base plates. 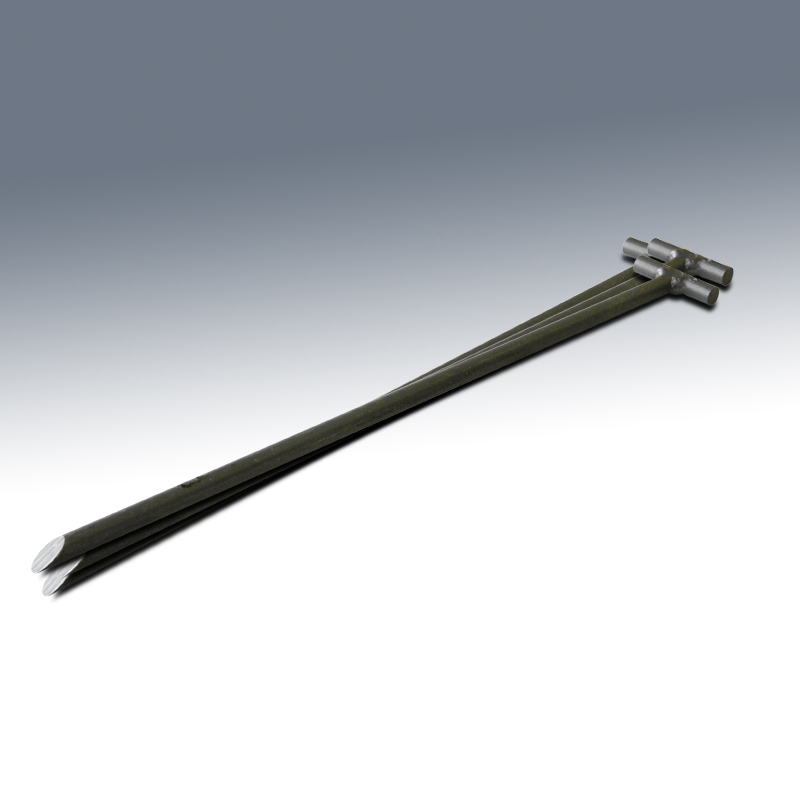 Dimensions : 180mm x 60mm x 30mm. Fabric :zinc steel/ PA6.6 30% glasfiber. Dimensions : ø8 x 3000 mm. 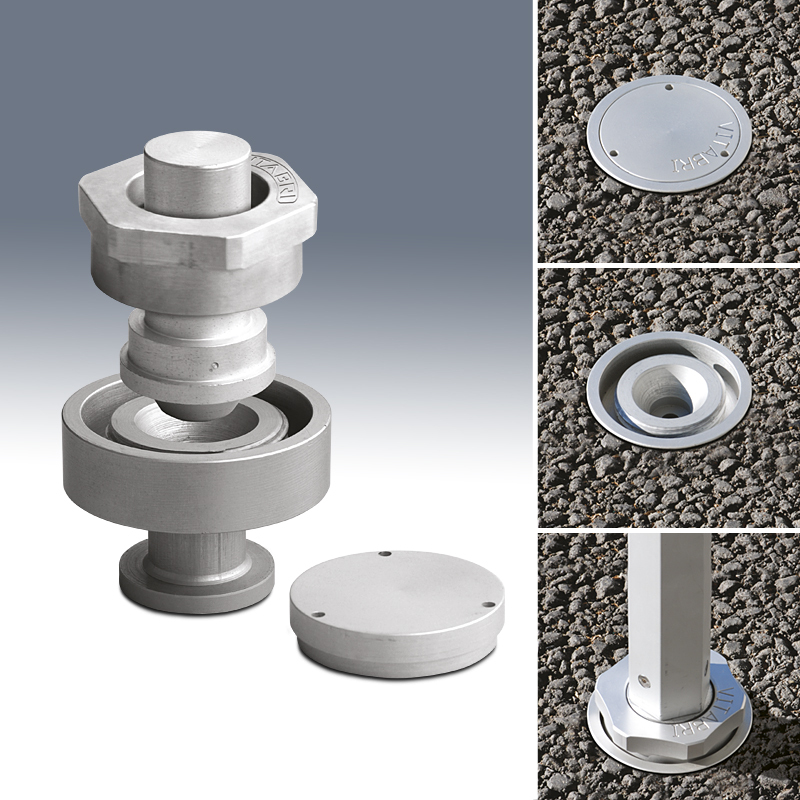 This part can be removed anytime and allows to hide the panoramic roof. Perfect to protect hosts againt high temperatures. You can take it off in autumn to let the light come into the tent. Crystal part on the roof cover. This element can be tinted or full transparent. 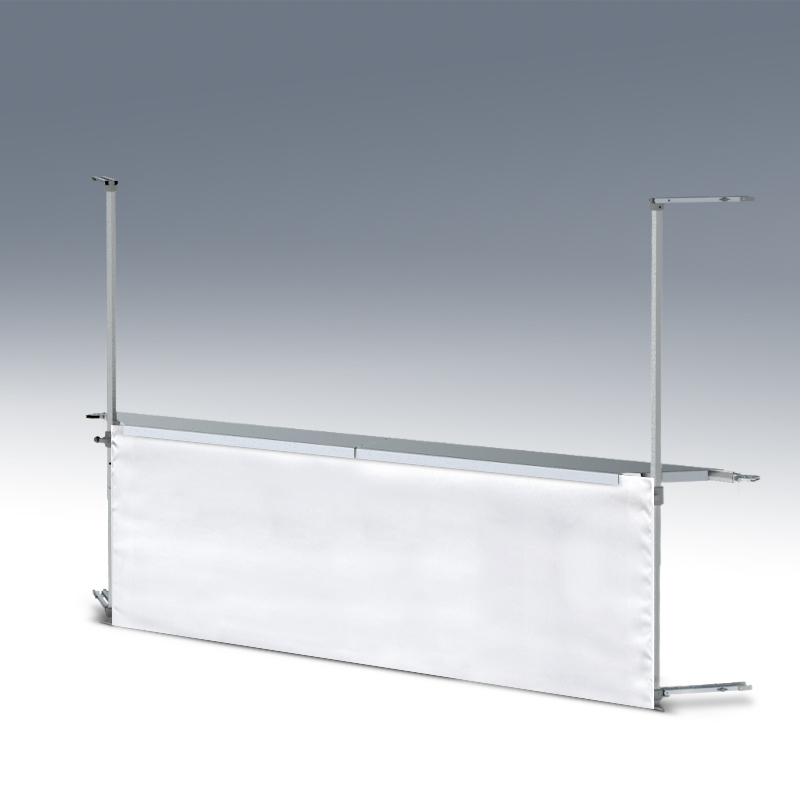 The plain panel is recommended to protect host from bad weather or hide a element from people. The panel is made up of three-part window. This one can be vertical or horizontal. They bring light in the gazebo and gives it a mordern aspect. A YKK-zip is stitched on the panel. This panel can be used along with the sliding option to get a curtain effect. This panel is used for fonctions that need to come in and out. The half crystal panoramic panel has 1/2 crystal and 1/2 fabric. This element allows to close half of the panel. 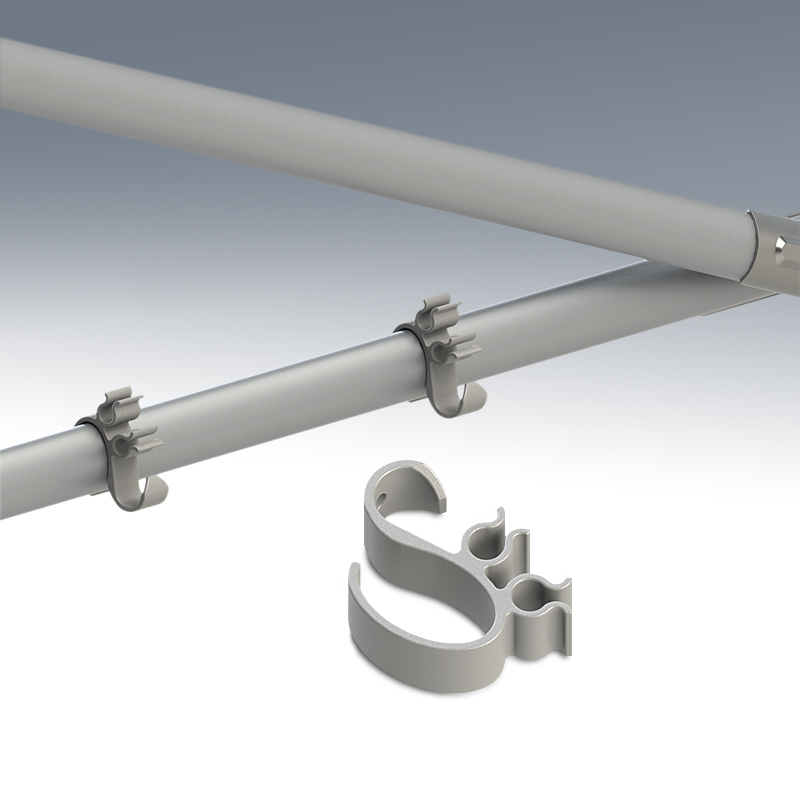 A strengthening bar and collars are required to attach it on the frame. The straight door can be in the middle and in the left or right side of the panel. You will close it thanks to a zip. The arched door can be in the middle and in the left or right side of the panel. You will close it thanks to a zip. This is a large and arched door in 2 parts. Velcro strips are on the top of the door to adjust it on left and right sides together. The pelmet is textile decoration that comes on the top of the valence. 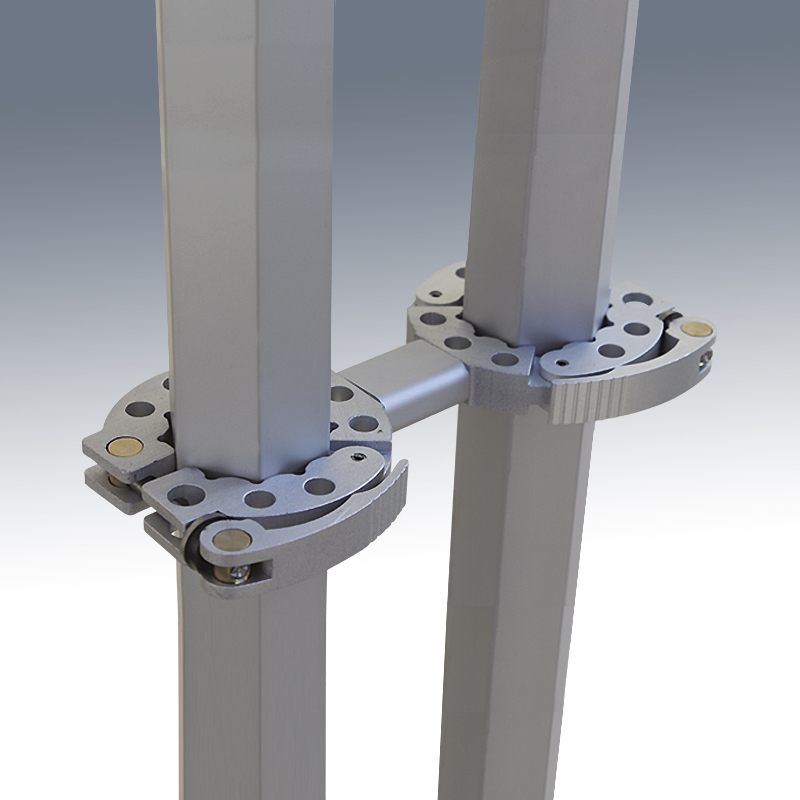 The leg covers finish the stall and hide with style stall feet. The arches are fixed thanks to Velcro. Same system as panels. 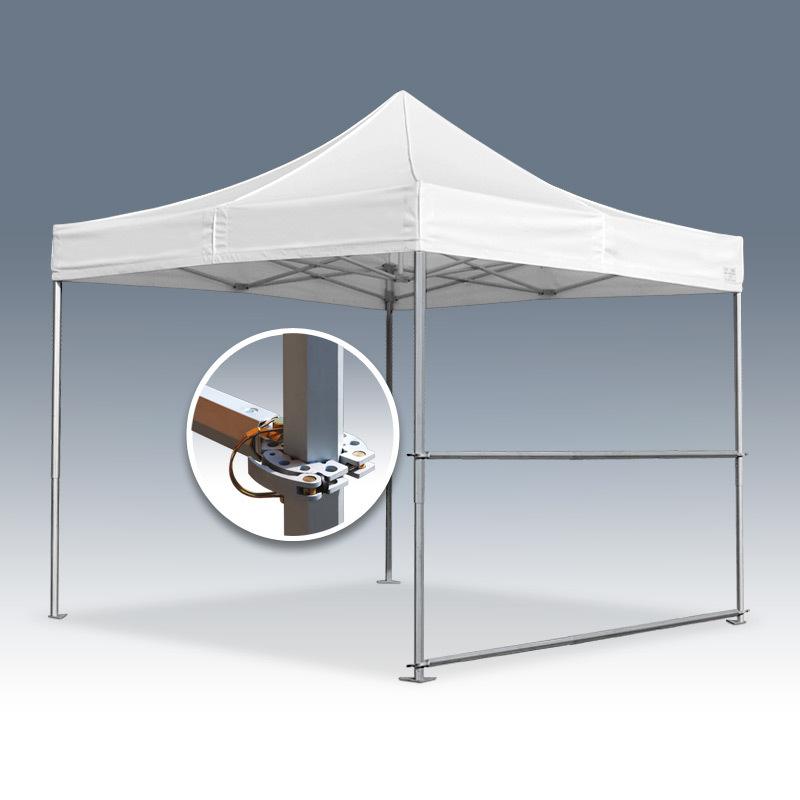 The overhang is the canopy awning and three positions allowing to shelter customers. This hides the skeleton of the frame from the inside.